Reboot’s programs have had a great impact in helping young Jews re-interpret Jewish culture and ritual in Los Angeles. Whether it was by reflecting with 10Q, our annual High Holidays introspection project, experiencing a modern reinterpretation of Shabbat through the National Day of Unplugging, exploring new foods from various cultures with Beyond Bubbie or using Six Word Memoirs on Jewish Life, Reboot has led the charge in helping others engage with Jewish identity. In 2017 alone, Reboot had nearly 14,000 in-person participants from all over LA who attended 205 live events. Every year, Reboot participates in NuRoots’s citywide initiative, Infinite Light, to celebrate Chanukah. Reboot LA hosted A Catskills Kibitz, a live taping of The Kibitz Podcast hosted by Jessica Chaffin and Dan Crane, at Canter’s Deli’s famous Kibitz Room. In the style of a Catskills variety show, guests on the podcast included actor/director Michael Showalter, comedian Moshe Kasher and musicians The Living Sisters, all of whom entertained the crowd with music and storytelling. The sold-out crowd packed into the intimate performance space which captured the warmth and spirit of Chanukah- from the incorporation of the candle lighting ritual, to the latkes and doughnuts provided by Canter’s, to the theme of “giving light” that was present throughout the evening. Give Light, Reboot’s Hanukkah initiative, re-imagines the concept of gift giving into tikkun olam and asks people to consider how they "give light" to others during the holiday season. This can be by donating time, talents, or money to a cause they believe in, participating in social justice, or supporting a friend. Additionally, a portion of the proceeds from every ticket sold went towards relief for Puerto Rico in the wake of hurricane Maria. Now in its ninth year, the National Day of Unplugging is a reminder for people of all ages and backgrounds of the value of taking a break from our high speed/high tech world. An offshoot of The Sabbath Manifesto, The National Day of Unplugging (NDU) encourages us to take 24 hours off from our phones, tablets, computers, and other electronic devices, in an effort to embrace human connection and unplug from the stress of the connected world. The NDU is celebrated across the country, and thanks to our partnership with NuRoots, Reboot was able to make the celebration more accessible by partnering with both the Silverlake Independent JCC and Open Temple in Venice to bring celebrations to both the east and west side of Los Angeles. Two guests in the vintage-inspired photo booth at an NDU event. The West Side Unplug LA celebration was held at Open Temple’s Electric Lodge Theatre, which was the perfect venue for this vibrant and eclectic celebration that blended live performance, artistic workshops, reflection, and creativity. More than 100 guests and performers gathered to check their cell phones at the door and engage in an evening of unplugged fun. An impressive lineup began with a set by local musicians and then went on to embrace the wide variety of artistry that Los Angeles has to offer. Reboot set up a vintage-inspired photobooths, where you could take pictures with “I UNPLUG TO____” signs, along with other exciting activities. Many had never participated in an NDU event and were excited by the idea of putting their phones down and connecting with friends and family, especially since this event encouraged them to do so through art. The following weekend Reboot unplugged again with over 100 people, at our signature Unplug event produced in partnership with The Silverlake Independent JCC. Guests were able to compose poetry and participate in Reboot’s Six Word Memoirs reflection project on typewriters. Throughout the evening the stage was occupied by storytellers and poets, and culminated with a performance from the popular band Blessed and their incredible blend of rock, soul, and rap with a unique Jewish spiritual flavor. Performers at the Unplug LA Eastside event. Two guests write what they unplug to do. Indeed, it is clear that the NDU satisfies an ever growing need to detach from technology and take time to unwind, relax, and connect with loved ones. Reboot found that 90% of participants reported that unplugging for one 24 hour period increased their awareness of their own digital consumption, and drew attention to the importance of connecting with their loved ones offline. 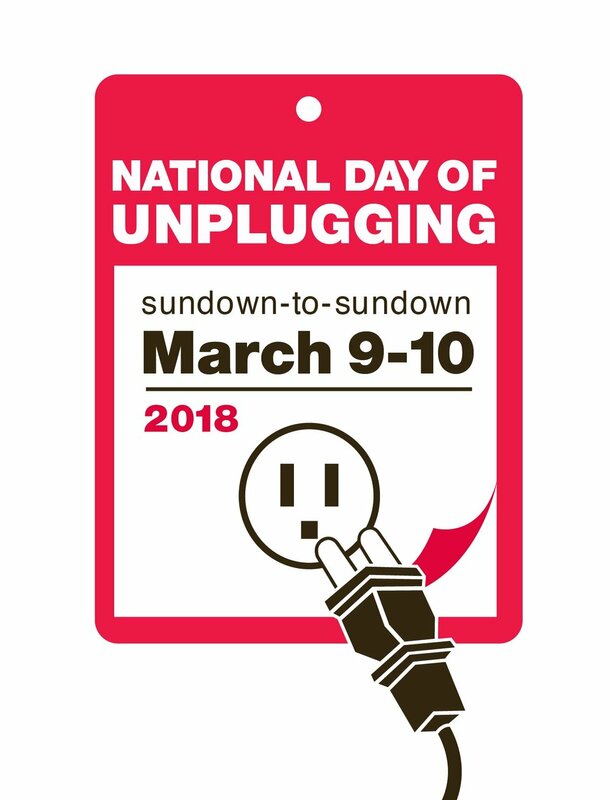 86% of participants also felt that participating in The National Day of Unplugging had inspired them to unplug more frequently throughout the year or even to make it a part of their weekly Shabbat practice. Reboot LA continues to look for ways in which we can enrich the lives of young Jewish people and how we can work with our community partners to produce programs and events that re-interpret what it means to engage in Jewish culture and ritual today. One program is Reboot’s Beyond Bubbie project, which looks to the importance of traditional food and food-centric gatherings in Jewish traditions by providing a space for participants to share not only their family’s recipes, but the stories behind them. This August, Reboot will partner with the LA branch of JIMENA, Jews Indigenous to the Middle East and North Africa, and ATID LA, Sinai Temple’s community of young Jewish professionals, to create a unique Beyond Bubbie event aimed at providing young Jewish adults a taste of the diversity that this city’s community has to offer. 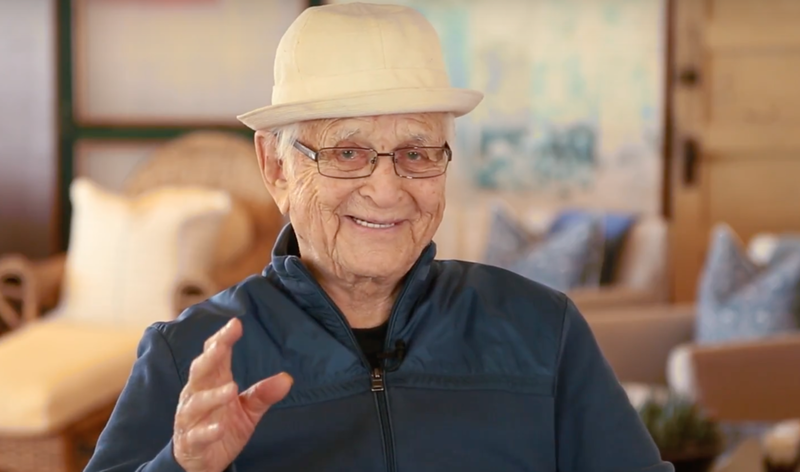 Norman Lear in The Last Act documentary series. Reboot is also excited to be partnering with the Israel Levin Center through NuRoots fellow Brianna Ziegler to pilot one of our newest programs, The Last Act. The Last Act is a series of short documentary style interviews with elders in their 80s and above that celebrate how we can live better by living longer. Throughout the summer we will be pairing young adult interviewers with senior volunteers to share their wit and wisdom on life and aging. The interviews will culminate in late September with a screening and celebration of the completed interview compilation. This partnership will help Reboot to shape how The Last Act can have a meaningful impact on a national scale, and how to be sure that more of the young Jewish community can benefit from the perspective of those who have come before. Although summer has just begun, the High Holidays are fast approaching, and for Reboot that means the return of 10Q, our annual reflection project. Every year, 10Q emails all participants a thought provoking question every day for the ten days between Rosh Hashanah and Yom Kippur as a way of engaging in The Days of Awe in a reimagined way. Once Yom Kippur has come to a close, all of the answers are locked in a digital vault until the following year, when each participant has the opportunity to read their previous answers and reflect on how they have changed and grown throughout the year. Over 14,000 people participated in 10Q online in 2017, and we hope to increase that number this year! Last year for the 10th anniversary of the 10Q project, Reboot took to the streets of Los Angeles, bringing interactive 10Q pop-ups to museums, college campuses, and events across the city. Participants were instructed to write postcards to their future selves with prompts such as “By this time next year I’ll be…” and “By this time next year I’ll stand up for…”. Engaging over 900 people across LA, the postcard activity was so successful that Reboot will be bringing the pop-ups back for 2018! In addition to the pop-ups, Reboot will once again be partnering with numerous synagogues, schools, and community centers throughout Los Angeles providing them with 10Q resources so that they can create their own meaningful 10Q experiences. Students write personal reflections on postcards at a 10Q pop-up in Los Angeles.